First off, I feel sorry if you need to touch Windows XP, especially in 2016, but hopefully this will save you a few hours nonetheless. In my case I had a beater Windows XP PC with XP-only software to connect to my car. It's proven itself very useful for car troubleshooting, primarily reading and resetting ODB (error) codes. I didn't want to keep a dedicated piece of hardware for this single purpose and don't want to re-install the specialized dealer software - so migration to a VM was commenced. Moving that Windows XP installation to VirtualBox 5.0.14 has proven to be more difficult that I estimated, probably because nobody uses XP anymore. My attempt to use Clonezilla was semi-successful, as I needed to move a large HDD to a smaller virtual drive and after a few attempts I bailed in favor of Acronis True Image, since I had previous experience using it. I used Acronis bootable rescue media on a USB stick to backup Windows XP HDD to an external drive. I created a new Windows XP VM following instructions from VirtualBox and used Acronis rescue media ISO to boot the new VM and restore the backup. Note: You can try to plug the external drive directly to VM (Acronis support of that drive pending), or you can use windows network share on VirtualBox host as I did. 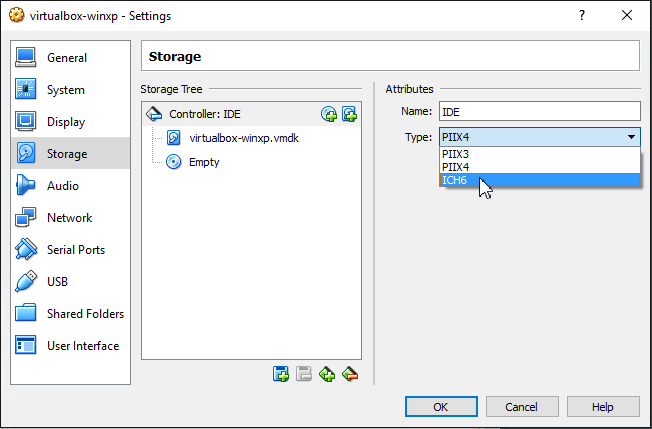 Search VirtualBox settings for it's DHCP range and use .1, ie \192.168.8.1\c$ in Acronis to search for backup that you copied to the VirtualBox host machine. Once booted, install VirtualBox Tools, remove unnecessary applications, drivers and try to enjoy your vintage Windows. Windows 7 comes with a nice feature called Jump Lists, which is unfortunately a global Windows setting: it cannot be enabled/disabled per application. I find it very useful to enable jump lists for a few applications like RDP Client, Putty and disable it for everything else. Jump lists for applications that open a given file only once are not useful for me and are rather annoying and insecure, as the history of accessed files stays in yet another place in Windows. Not surprisingly there are methods and tools to extract jump lists history from a Windows system. After an ugly laptop's HDD failure and all the hassles associated with reinstalling and recovering I decided that I need to do better backups to protect my mental wellbeing in the future. In this post I describe my personal storage and backup solution and introduce the backup script that I've created. In 2005 I had a Windows XP laptop with HDD split into Windows C:\ and Data D:. I used Acronis to perform "online" backup of system C:\ while Windows was running and used rsync to backup non-system partition D:\ to home PC's backup drive. In 2010 I got a new laptop with Windows 7 and split HDD into C:\ and D:\ to separate OS from the rest of the data. There are free tools like gparted that can resize Windows C:\ partition to ~100GB without OS reinstall. I stopped using Acronis due to instabilities on x64 Windows in favor of built-in Windows 7 Backup for system C:\ and kept using rsync for the rest of the data. 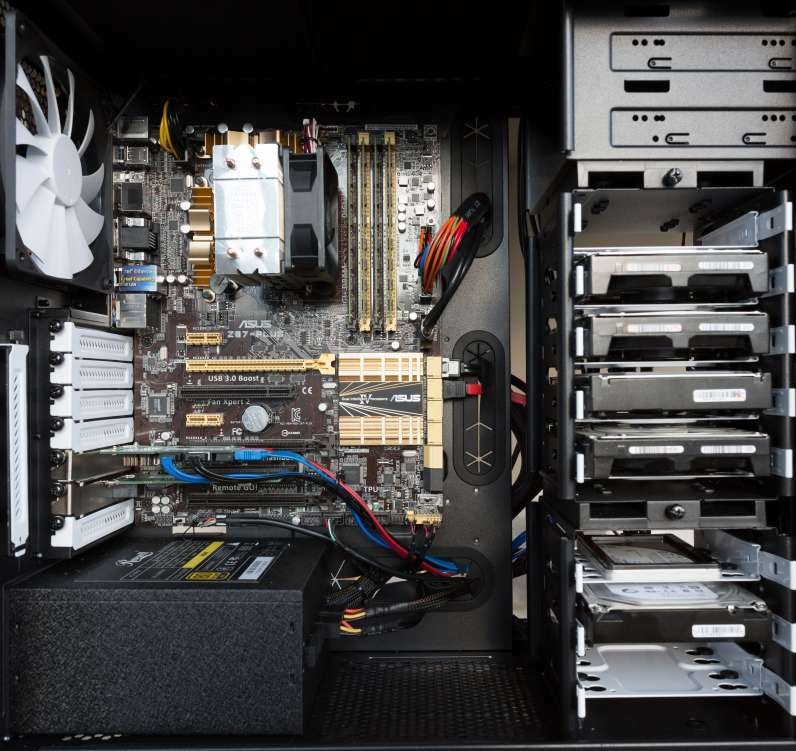 In 2011 I created 4x1TB RAID5 using a PCI-X raid card on home PC for archives and added 3TB drive for backups. This remains my primary storage and backup machine. I have multiple devices: a laptop, a home PC, a blackberry an android phone, tablets and kindles with a few terabytes (and counting) that I want to keep safe from hardware failure and loss. I enjoy photography and have a lot of RAW photos and converted JPEG images. I store all JPEGs and recent RAWs (~150GB) on my laptop for quick access and editing in Lightroom. I store the archive of all RAW photos on home PC (~350GB). Unfortunately my laptop drive(s) are never large enough to accommodate everything at once and I have to use home PC for archives which complicates my backup a bit. I prefer to store my "active" data, archives and backups under my control on a home PC. So far I don't use any cloud storage for backups, because of privacy concerns, high cost and inability to support all of my devices and scenarios. Content of System drive C:\ using Windows Backup for quick recovery after physical disk failure, as I don't want to reinstall Windows and applications from scratch. 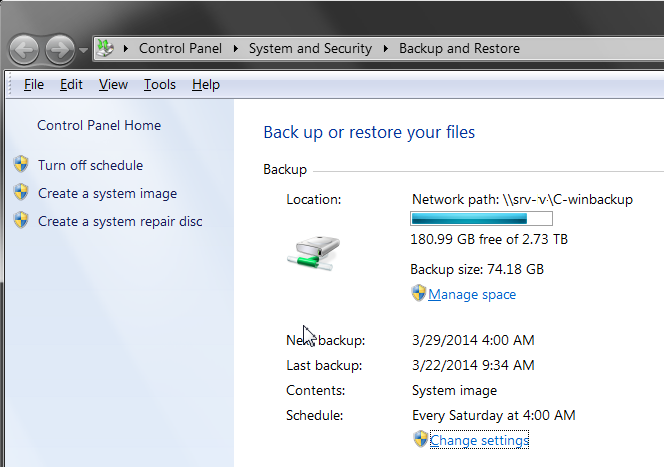 This is configured to run automatically using Windows Backup schedule. All changed files from laptop, phone, other devices. I backup laptop every night and after significant changes in content, like import of the recent photo RAWs from SD card to laptop. I use rsync for devices that can be mounted as USB disk drive in Windows (Blackberry, Kindle) and Bittorrent Sync for Android, iOS to copy all changed files to my laptop. When I move files from laptop to home PC archive, I explicitly ensure that updated archive is backed up. This happens when I run out of disk space on my laptop and move RAW photos to home PC's RAID5. I recommend everyone to adopt at least 1. and 2. and configure some sort of periodic backup of all data. You can use my approach with rsync, Acronis or Windows Backup. Details on how to use the backup script are provided in README and in the comments within rsync_backup_win.sh.